We are exactly ONE day into summer. I both love and dread this season. I love it because I'm DONE with homework and packing lunches and getting kids to school. I need a break. I dread it because, I work from home. How am I going to carve out blocks of time to get work done? 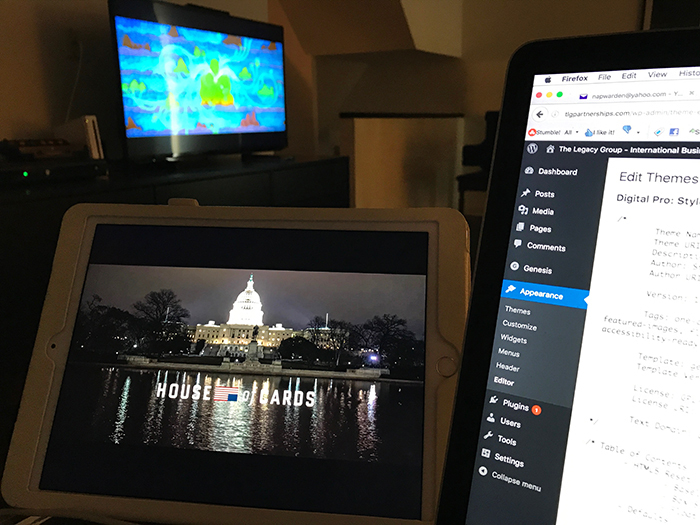 Netflix to the rescue! Lemme give you a peek at my desk. That's my computer. I'm coding a WordPress site. That's my iPad. I have my headset in and I'm watching House of Cards. My daughter is watching Moana on Netflix on the TV. (Have you watched it? It's REALLY good.) That is how I buy myself a chunk of time to get work done. I have to share my guilty pleasure with you. 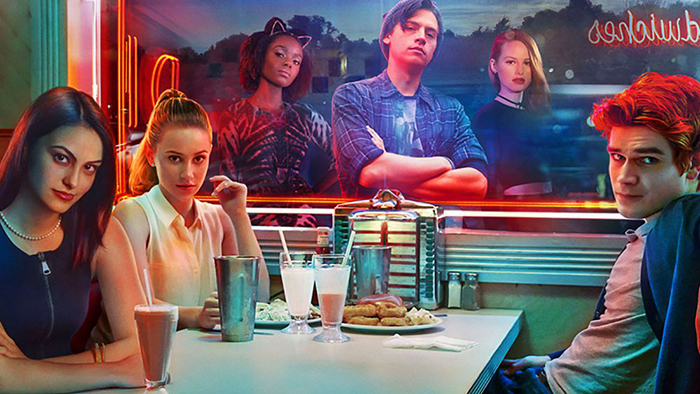 Riverdale! Have you watched it? I binged it while working last week. It's SO not the comic book we grew up with as kids. It's kind of like high school Twin Peaks meets Heathers. I LOVE the parents. Trust me when I tell you, you'll recognize ALL of them! Your turn, what's on your playlist this summer? *I am a member of the Netflix StreamTeam. While I am not paid, I do receive a free Netflix membership. All experiences and opinions are my own.